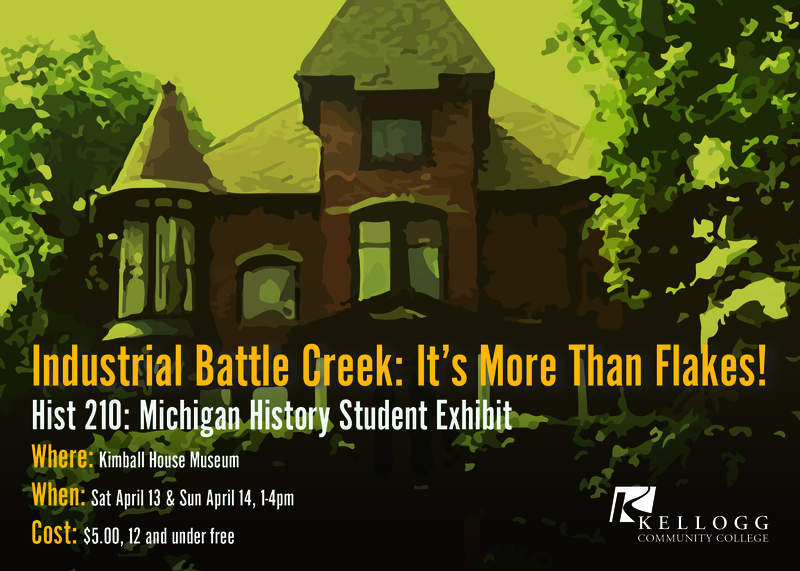 The class curates a different exhibit each semester, and this one is focused on Battle Creek industry, including items from Union Pump, Archway Cookies and the Jefts Organ Company. The exhibit will be open for viewing from 1 to 4 p.m. Saturday, April 13, and Sunday, April 14, at the museum, located at 196 Capital Ave. NE in Battle Creek. HIST 210 students will be available at each event to answer questions and assist with tours. General admission is $5. Individuals ages 12 and under are admitted free. For more information about the exhibit, contact KCC history professor Dr. Ray DeBruler at debrulerr@kellogg.edu.